- The product subtotal of your order must be $59 or more. 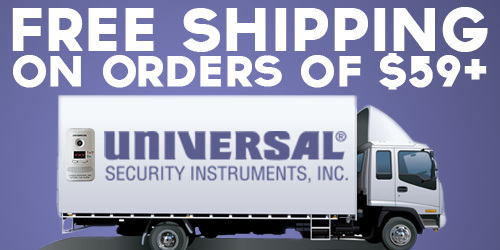 - Valid online only at UniversalSecurityStore.com. - Discount will be shown during the checkout process. - Offer valid for a limited time only! - Free Shipping is not applicable for expedited shipping options. Be sure to check out our Social Buzz page, for the latest news and offers from the UniversalSecurityStore.com! 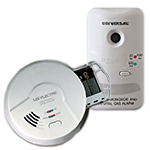 Universal Security Instrument smoke and fire alarms are your premier defense against slow and fast acting fires. 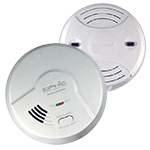 Here you can find 10 Year battery alarms, photoelectric smoke alarms, patented universal smoke sensing alarms and more! Protect your home from the silent killer with state of the art carbon monoxide detectors from Universal Security Instruments including: plug-in carbon monoxide detectors, hardwired co alarms and combination co, smoke and gas alarms. USI combination detectors allow for multiple threat detection packed into one convenient alarm. 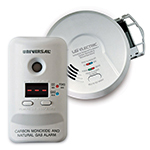 Featuring combo carbon monoxide and natural gas alarms and combination smoke, co and gas detectors. 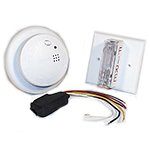 Add more functionality to an already diverse line of smoke and fire alarm products with USI's alarm accessories including: smoke alarm relay module, smoke alarm kit and heat alarm. 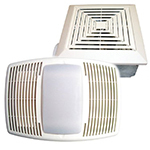 Find the perfect bathroom fan or replacement bathroom fan for your home, including bath fan models with several different motor power options and unique features. 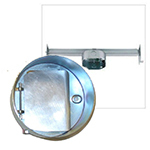 Find a variety of replacement parts for your USI Electric bath fan including bath fan duct adapters, replacement motor assemblies and bath fan brace / lighting fixtures.